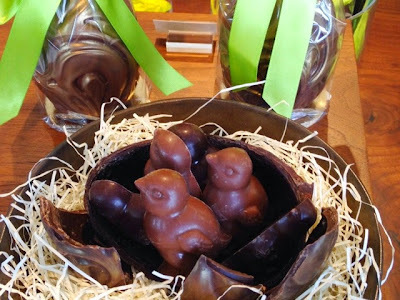 Fran's Chocolates new recipe peanut butter filled chocolate egg for Easter. Getting to know your local chocolate shops and the people who work there is always a good idea because they can fill you in on the newest chocolates and upcoming changes in the works. 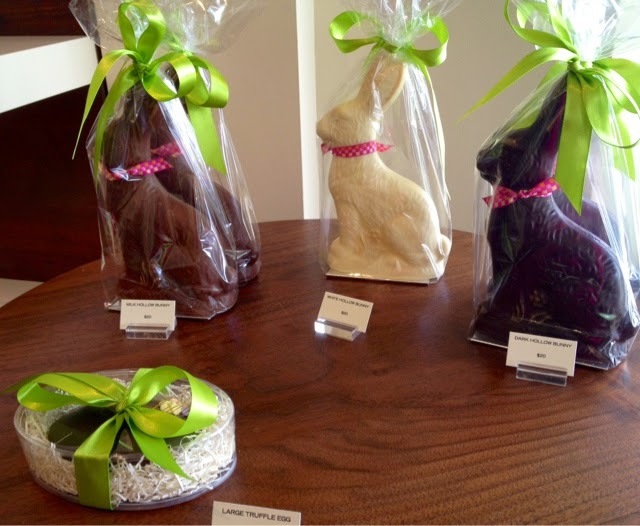 Just yesterday, a few days before Easter, I scheduled a business meeting at Fran's Chocolates in University Village in Seattle. 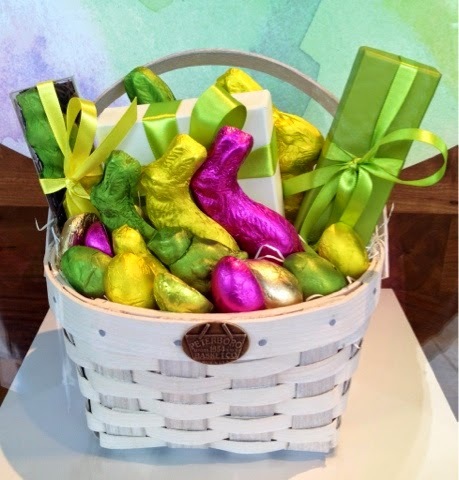 The store was bustling with activity as people chose chocolates to fill Easter baskets. Bei manages three Fran's retail shops. She welcomed me and brought me up to date on the new recipe for their peanut butter eggs, only available at Easter time. Peanut butter and chocolate have been a favorite pairing however these eggs are a step far above the overly sweet varieties that you'll find on the candy aisle of the grocery store. Inside the shiny thin shell of chocolate, the creamy peanut butter has a texture that is light and airy, almost whipped but certainly not dry. Fran's has crafted gorgeous chocolate eggs with milk and dark chocolate chicks inside. Clever. 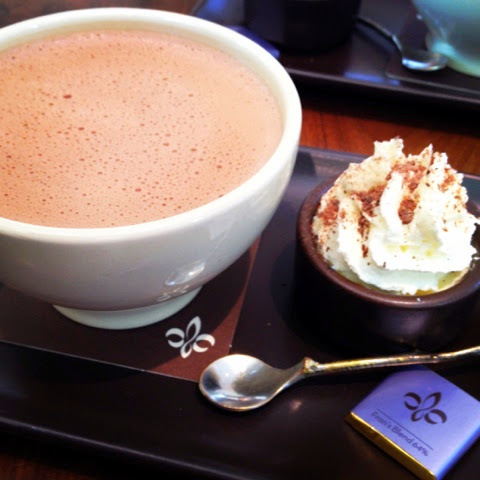 I find that business meetings involving chocolate are always a bit more productive and introducing people to sipping or drinking chocolate is a great way to start. Watch for upcoming posts on Fran's as they prepare to move their factory to a historic Seattle landmark in the coming year. Fran's drinking chocolate to start the business meeting off right. 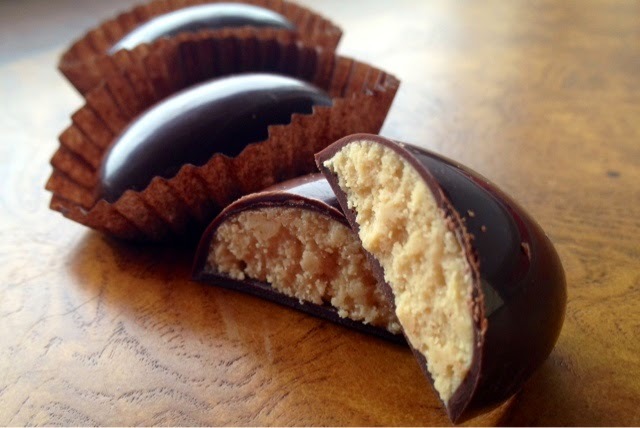 Nice chocolate recipes. 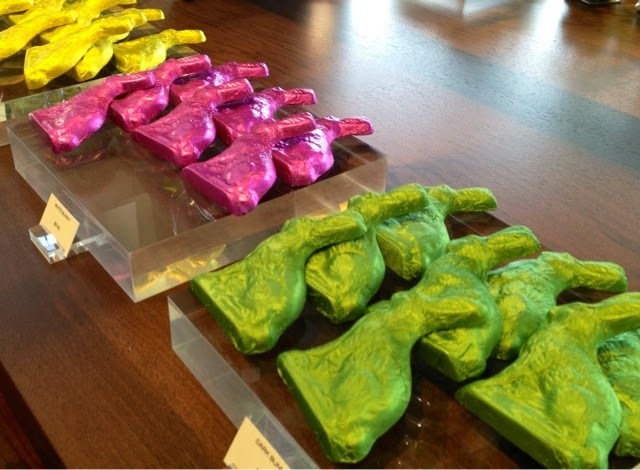 Visit chocolate lollipop molds as it is the best website to buy custom made chocolate molds to make various chocolates.